Thirteen ‘Business Women’ joint EuropeTalks first stop @CreativeLondon’ Oct 27th. A sparkling day, full of inspiration, creativity and business ideas. Kathryn Best inspired so much with her disruptive talk about Creative Leadership. 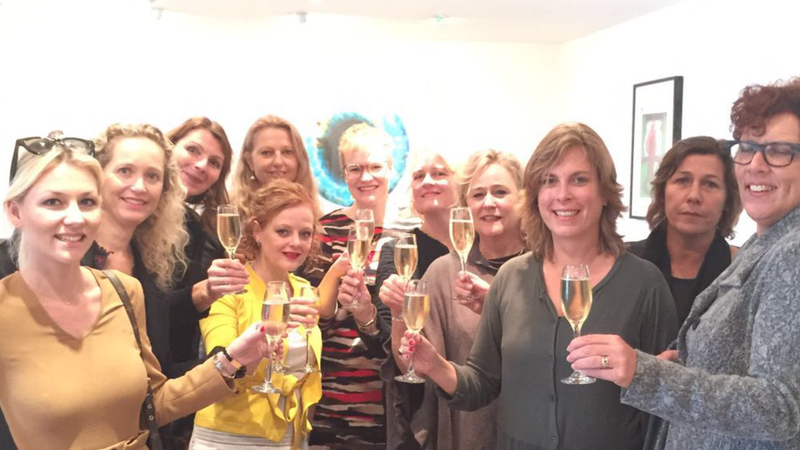 Hinke de Jong blow us away with her Champagne Life Story. Adda van Zanden Got us out of our comfort zones using her exceptional actress skills. Thanks a lot for all great reactions. Inspired ladies who started new business, co-creatiworking with new insights now and most of all …all participants went home with a lot of new energy. Cheers! Up to our Next Stop….Aarhus here we come!